Generoso and Lily’s Bovine Ska and Rocksteady: Prince Buster’s Olive Blossom Label 12-15-15 – LILY & GENEROSO 4EVER! We started off this week’s show with a a version to version of The Ethiopians’ classic, Pirate and Gregory Issacs Do You Ever to highlight our first two sets of early reggae. After a stirring mento set, we ended the first hour with a set of blazing ska before going into the Olive Blossom Label spotlight at the start of the second hour. In the years of ska, King Edwards, Duke Reid, and Coxone Dodd, and Prince Buster dominated the sound systems and the charts. As rocksteady arrived, Prince Buster fell a bit out of the limelight as Coxone, Duke, and Leslie Kong attracted the stars to their labels. 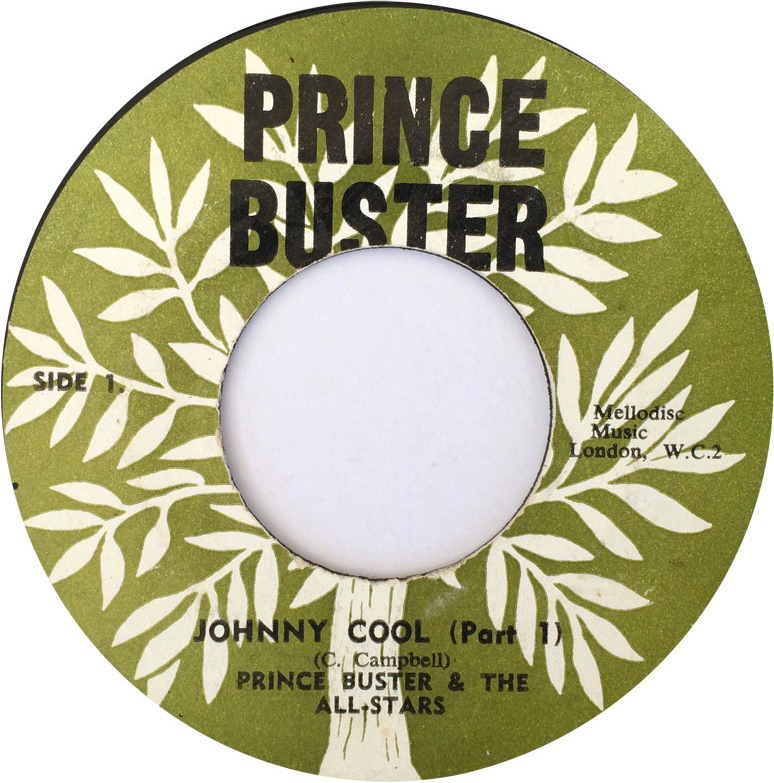 During this rocksteady period, Prince Buster opened up his Olive Blossom imprint, which had beautiful tracks and excellent productions, even if the biggest singers were not recording for Buster. At this point, you may be wondering, what are all of Buster’s labels? There are plenty, with each dedicated to a specific period in Jamaican music or a specific period of Buster’s life. The imprints included: Prince Buster, Shack, Soulsville Center, Islam, Olive Blossom, Buster Wild Bells, and Voice of the People. And, if you were wondering if Prince Buster continued to be tough through the rocksteady, Lee Scratch Perry, who recorded “Call On Me” for Olive Blossom, has said that one of the benefits of recording for Buster during the Olive Blossom years was that Buster was fair to his artists and that he stood up and protected his artists if other people wanted to give them a hard time. You can listen to our full Olive Blossom Label retrospective from December 15th, 2015 HERE. Subscribe to our show on Mixcloud; it’s FREE, and you’ll get an email every Tuesday when we post a new show. Happy December!!! Please help us and spread the word and repost if you liked the show! Repost anywhere you see fit.